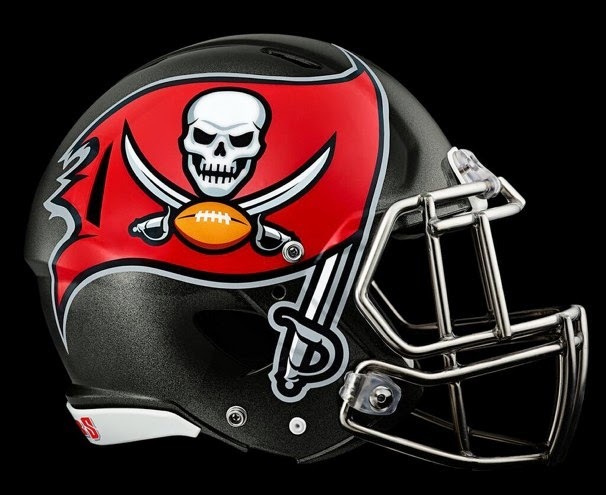 The Tampa Bay Buccaneers were an absolute disaster in 2013. Mike Glennon took over for Josh Freeman, which pretty much ended Freeman's NFL career and now they brought in Josh McCown sending Glennon back to the bench. Doug Martin gained just 456 yards and scored 1 TD, during the Bucs 0-6 start to the season, before suffering a season ending shoulder injury. This opened the door for Bobby Rainey who lead the team in rushing with 532 yards. He also was the only other RB to run for TD last season, scoring 5 times. Yes, the Bucs scored just 6 rushing TDs in 2013. Vincent Jackson was the only reliable fantasy player wearing a Bucs uni last season. Jackson saw a career high 159 targets and caught a career high 78 passes. Be sure to read our Mike Evans post! Um…did you watch any Bears games last season? This guy had complete control of the offense and should be credited for Alshon Jeffery’s standout season last year. Without McCown showing off that Jeffery can play really well, the Cutler and Marshall bromance would have continued with much fewer balls being thrown Jeffery’s way. The Bears offense looked damn good with him leading the team. McCown was the back up in Chicago when Lovie Smith was the head coach and clearly Lovie knew what kind of talent he had as he snagged him right up when Smith took the head coaching job in Tampa. McCown had a big season last year and people will argue it’s because he had Jeffery, Marshall and Forte…yeah well he has Vincent Jackson, Mike Evans and Doug Martin. Things are looking pretty similar and pretty good to me. Her Fantasy Football ranked him 20th in their QB rankings. We did not rank him in our top 20 QB rankings. Martin is extremely talented and had an amazing rookie year. Last year, while frustrating, wasn’t actually too terrible if you really break the numbers out and look at match ups. He is back and healthy and has a more function front line and a friendlier environment since the coaching change. That actually means a lot. Her Fantasy Football ranked him 7th in their RB rankings. We ranked him 17th in our RB rankings. Jackson was able to still be a top receiver in the league last year despite changes in the quarterback position, drama with the head coach and overall ineffectiveness as a team. Jackson has been a top receiver for years now and with a quarterback like McCown, who helped his Bears receivers shine last year, Jackson should be sitting pretty. Her Fantasy Football ranked him 12th in their WR rankings. We ranked him 15th in our WR rankings. Think Alshon Jeffery. Mike Evans is the second wide out with a star receiver on the team who is the go-to…sound familiar? Well McCown didn’t only throw to the star, Brandon Marshall, last year and the team and both receivers benefited from it. Marshall wasn’t getting double teamed as much as he normally was since Jeffery was a viable target and Jeffery actually got some targets, which turned into big plays. Vincent Jackson will be used in a similar way to Marshall and Evans is a similar kind of player to Jeffery. Evans is a talented kid; look for him to break out and be an excellent WR2. Her Fantasy Football ranked him 35th in their WR rankings. We ranked him 42nd in our WR rankings. Tampa did add TE Brandon Myers and drafted 6'5 TE Austin Seferian-Jenkins out of Washington.